Fitz And The Tantrums Return With The Super Catchy "123456"
We're excited to premiere the Dave Audé remix of the alt-pop band's rising hit. 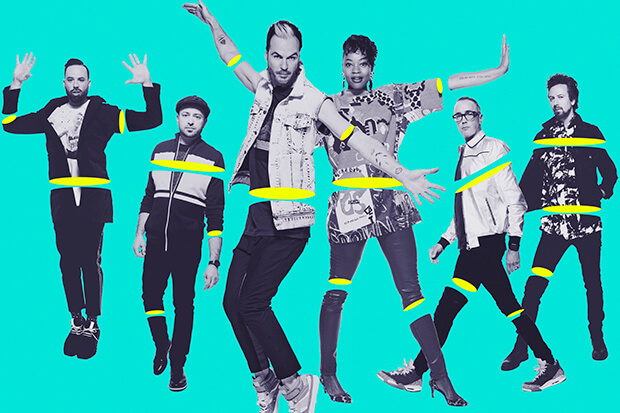 Fitz And The Tantrums pick up where they left off on “123456.” The alt-pop band’s new single is jam-packed with as many hooks as previous hits “HandClap” and “The Walker,” and boasts another absurdly catchy, sing-along chorus. When you factor in the song’s feel-good vibe and cute, neon-sprinkled video (below), the 6-member group has an early Song Of The Summer contender on their hands. Frontman Michael Fitzpatrick reveals that the track’s upbeat energy belies a deeper meaning. “It’s actually quite an emotional song personally,” he explains. Fitz And The Tantrums will unleash their 4th LP later this year. They are supporting the release with a co-headlining summer tour with Young The Giant. See all the dates and buy tickets here.